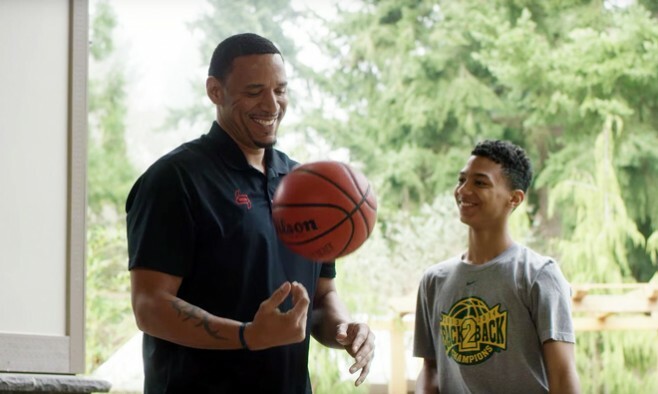 Brian Grant, a former NBA basketball player who was diagnosed with young onset Parkinson’s disease aged 36, has launched an innovative global Parkinson’s movement, in partnership with the World Parkinson Coalition (WPC). The objective of the ‘Power Through Project: Montreal to Portland’ is to inspire the international Parkinson’s community to get moving and raise awareness about Parkinson’s disease. Brian knows from his career as an elite athlete the importance of exercise and nutrition for health and wellbeing. The NBA is set to announce the project during the NBA All Star Weekend in Toronto next month. You can sign up today, as an individual or in teams of up to 10, to commit to a series of carefully chosen exercise programmes specially designed to benefit people with Parkinson’s. The goal is to complete 100 hours of physical exercise, and cover 3,000 virtual miles. That’s equivalent to the distance from Montreal in Canada – home of the World Parkinson Congress 2013 – to Portland in the US, where the 2016 event is being held. Once signed up, participants can create an online profile on the Power Through Project website that tracks their progress and maps out their virtual journey. Users can log their hours of physical activity, which will be converted into miles, measured in distance and added to the accumulative running total. As they work their way to the West Coast, participants will unlock new exercise programmes and special rewards and bonuses.